An exciting statewide initiative aimed at reducing occupational injuries and illnesses and workers' compensation costs in California workplaces. Administered by the Commission on Health and Safety and Workers' Compensation in the Department of Industrial Relations, through interagency agreements with the Labor Occupational Health Program (LOHP) at UC Berkeley, serving Northern California, the Western Center for Agricultural Health and Safety (WCAHS) at UC Davis, serving California's Central Valley, and the Labor Occupational Safety and Health Program (LOSH) at UCLA, serving Southern California. 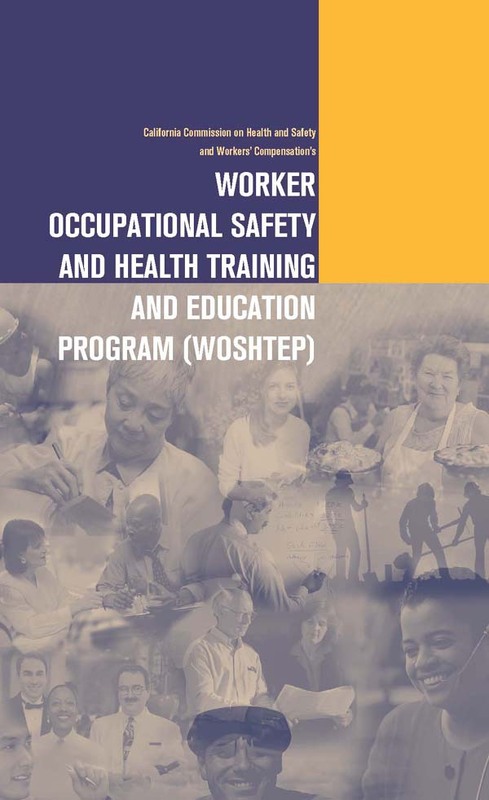 The purpose of WOSHTEP is to reduce job-related injuries and illnesses among California workers. By promoting health and safety on the job, WOSHTEP can also help lower workers' compensation costs for employers. WOSHTEP serves a variety of industries, and participants come from diverse occupations and work settings. Special emphasis is placed on reaching employers and workers in industries with significant injuries, illnesses and workers' compensation cost. Focus is also on groups with special needs, such as those who do not speak English as their first language, workers with limited literacy, young workers, and other traditionally underserved industries or groups of workers. For more information about the three WOSHTEP Regional Resource Centers in Northern California, Southern California, and the Central Valley and CHSWC. Help promote employers' workplace injury and illness prevention efforts and the development of an Injury and Illness Prevention Program (IIPP) at their workplace. Serve as a health and safety resource for others, including co-workers, workplace health and safety committees, unions and employers. Identify the underlying causes of injuries. Promote solutions to health and safety problems. Support the successful return to work of injured employees. Workers interested in becoming WOSH Specialists attend a free 24-hour course where they learn key occupational safety and health concepts. They also learn how to take a leadership role in the workplace. The curriculum includes core modules addressing topics relevant to workers in a variety of California workplaces, as well as a series of supplemental modules covering specific topics and hazards. The training program is offered in English, Spanish and Chinese and is provided free of charge. It is taught through a statewide network of trainers coordinated by the Northern California Resource Center at the University of California, Berkeley, and by the Southern California Resource Center at the University of California, Los Angeles. The program provides training to workers who can take on health and safety responsibilities, such as serving on a health and safety committee or as a designated safety representative, and/or training other workers. 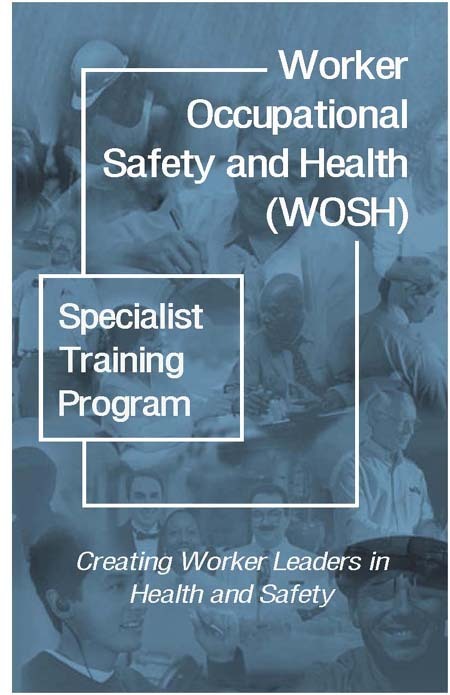 A participant in the WOSH Specialist Program will need to take 24 hours of training: six core modules (16 hours) and a minimum of three supplemental modules (8 hours). Descriptions of the core modules plus a list of possible supplemental topics are listed below. A training program participant who successfully completes this training will receive a certificate of completion. Understand the importance and key elements of a successful injury and illness prevention program (IIPP) in the workplace. Identify a full range of potential hazards on the job and uncover root causes of injury and illness. Evaluate possible control measures for common hazards. Explain the legal requirements for maintaining a safe and healthy workplace and support an employer's compliance efforts. Participate actively in injury and illness prevention efforts and problem-solving in the workplace. Serve as a health and safety resource for others, including co-workers, joint labor-management committees, unions and employers. Contribute to reduction of workers' compensation costs through promotion of prevention and early return to work. A three-day course, adapted from the WOSH Specialist Course, offered to NISH-affiliated Community Rehabilitation Programs that serve and employ individuals with disabilities. 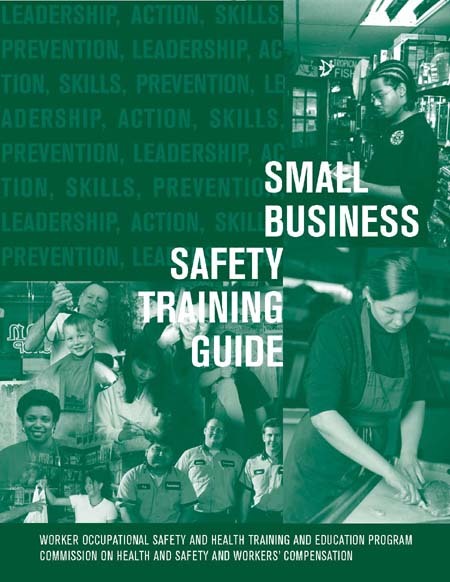 Free safety training materials to use with your employees. Free tips on how to comply with Cal/OSHA's IPPP regulation. Identify ways to prevent injuries in your workplace. Engage workers in your safety program. Provide short interactive safety training activities tailored to your business. Identify safety hazards in the workplace. Learn about and find solutions to hazards in the workplace. DIR is committed to providing necessary education and resources about health and safety requirements including employment rights so teens can be safe in the workplace. 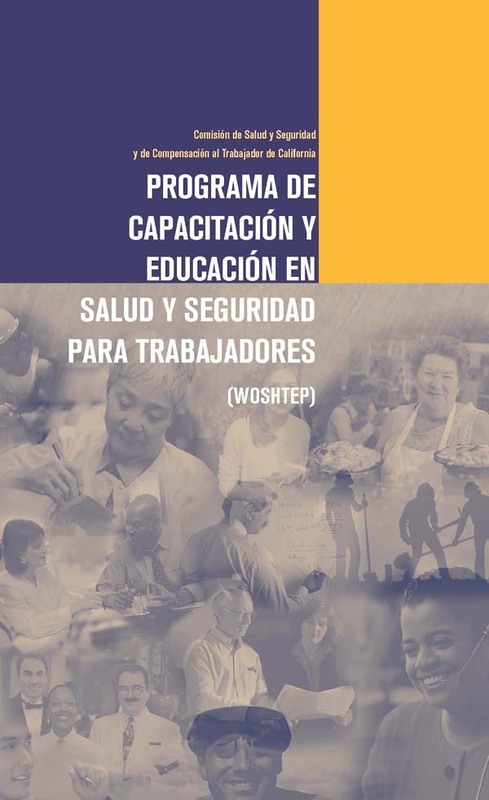 This Guide is a collection of links to worker training materials such as fact sheets, checklists, and other educational resources that are available online and can be printed to distribute to workers participating in workplace injury and illness prevention programs. You can find the current guide to view or print on the LOHP Multilingual Guide page. California group trains workplace health, safety leaders - SafetyNet, Bureau of National Affairs, Inc., No. 23, Washington, D.C. 2005. The Health Initiative of the Americas (HIA) at the UC Berkeley School of Public Health, with support from The Western Center for Agricultural Health and Safety (WCAHS) at UC Davis, launches its Occupational Health and Safety Virtual Resource Center and Occupational Health and Safety Manual in Spanish. Files in Adobe Acrobat PDF format are viewed with Abobe Acrobat Reader. If you do not already have Adobe Acrobat installed on your computer, you should download the free Acrobat Reader from Adobe's web site at www.adobe.com, download instructions are available on the Adobe web site. Once you have downloaded the Acrobat Reader you can view PDF documents in your web browser if it supports plug-ins or, if it does not support plug-ins, you can save the file(s) to your hard drive and view them by opening them in Acrobat Reader. Known Printing Problems.